Many homes are now finished with hard materials with a disturbing reverberation as a result. 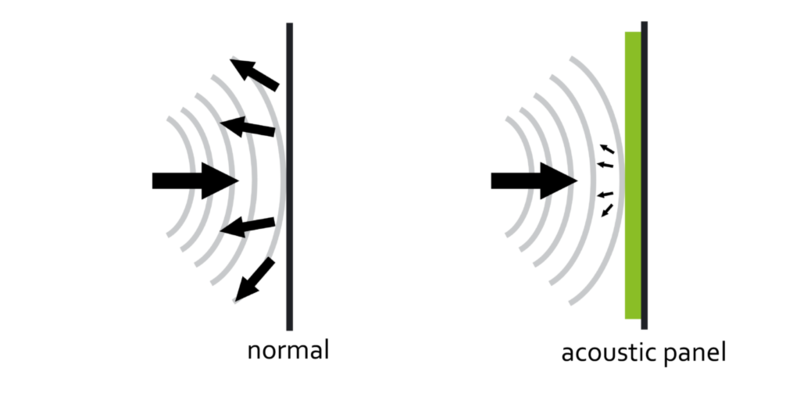 To prevent the reverberation, sound-absorbing materials must be added to the room. This can already be done by curtains or a carpet, but if this is not enough, you end up with our acoustic wall panels. These acoustic panels can easily be mounted on the wall and can be provided with a print of your choice. We make the panels exactly as you want. 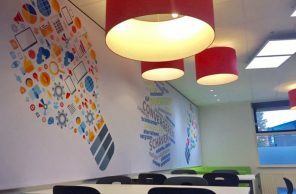 The acoustic wall panels can be printed entirely at your own choice. A beautiful natural landscape, family photo, holiday snapshot, or a piece of art from the museum, you decide! The beauty of our acoustic wall panels is that you are never stuck to one print. If you want you can easily change the upholstery for a new one. So you buy the system once and then enjoy years of good acoustics without getting bored with one print. Our acoustic panels are filled with a high-quality acoustic material made from non-wearable clothing. These jeans in particular are collected and fiberized in a sustainable manner, after which we make your acoustic panel out of it. These panels have an alpha value of 0.95 (αw 0.95). This means that about 95% of the sound wave that hits the panel does not return to space. This reduces the reverberation in the room. A new home, but not yet able to give your own identity to it? Does the room still sound empty and does it ring? Think of an acoustic photo panel. 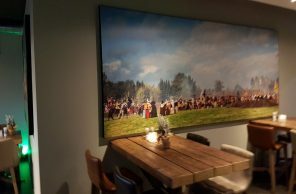 A Nyink photo panel can not only be printed with any desired print, it also dampens the excess sound in the room. Many people think of a canvas painting when they decorate their home. The disadvantage of this is that this does not contribute to the acoustics and when you are bored with the print you have to buy a whole new system. For this we have come up with something, a sound-absorbing panel that you can provide with a new print whenever you want. The panel can stick to the wall and the upholstery can be changed in no time. For those who think it is a hassle to mount a wall panel. The panel is hung on only two eccentric discs. This system works very easily, even for people with two left hands. The eccentric discs allow the panel to be leveled laterally. Set up your acoustic wall panel yourself and experience how this panel contributes to your living pleasure.